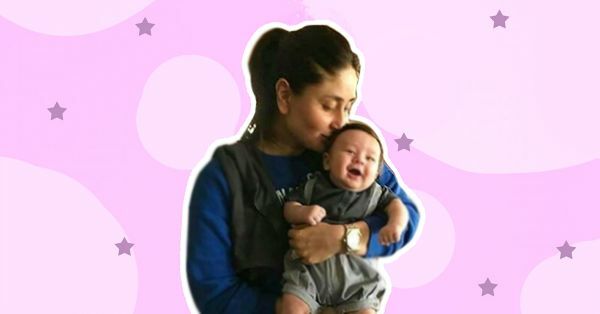 Kareena Has The Most *Adorable* Thing To Say About Baby Taimur! Kareena Kapoor and Saif Ali Khan’s baby, Taimur, is probably the most adorable munchkin we have ever seen till date. He isn’t camera shy at all, loves all the attention he gets and enjoys his stardom like no one else. He has got the best of both his parents and none of us can stop crushing over him, isn’t it? But wait, does mommy Kareena also think the same about him? The actress was recently at a book launch ceremony of nutritionist, Rujuta Diwekar, where she extensively spoke about her seven months old baby. Watch this clip to find out what she said!